Thanks to the heavy fog and haze, young people gave up marching on the four main streets near the Bell Tower. I should say “thank you” to them. If they marched on the streets, I wouldn’t have avoided the traffic jam and couldn’t have been home before 19:30. Today is the Christmas Day according to Beijing Time. Here I send my best wish to you all and wish all of you could get rich immediately. 2014 is the year of horse according to Chinese lunar calendar. Some people put some money on the back of horse, hoping they can get rich immediately. Look at this picture! 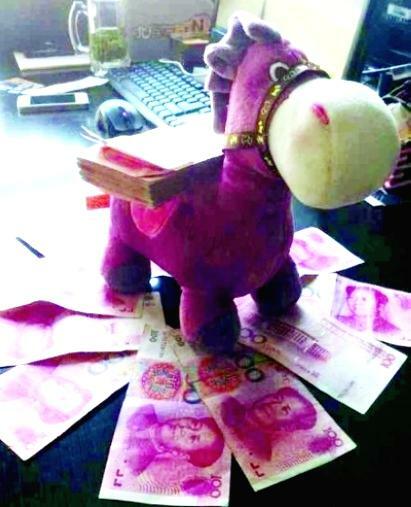 It's called “马上有钱(money on the back of the horse)”.